Guido was hard working, professional and committed, and expected the same out of the players. He used some great group techniques and individualized programs to try and take our players to the next level. I got to know Guido as a passionated guy with a lot of enthusiasm. We always have interesting discussions about our job in which he shows to have substantial knowledge. He was always willing to listen to others' opinion and to learn from thereon. 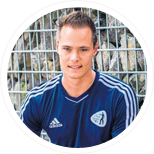 Guido is an enthusiastic and studious coach, he is always willing to think along in relation to the learning process of the players. Guido is also very skilled didactically. Guido is a top professional. His work is characterized by a strong scientific base and a rampant enthusiasm. 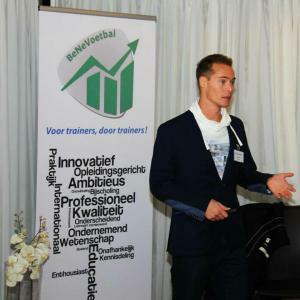 The BeNeVoetbal conference was at the right moment in my career, What is talent and how do we identify it as a coach? Answers were given by presenters with an international background. I would recommend every football coach to attend this conference. I got to know Guido as a positive, stimulating and a well substantiated coach. A coach with a clear vision of which he knows how to transfer it to the group. 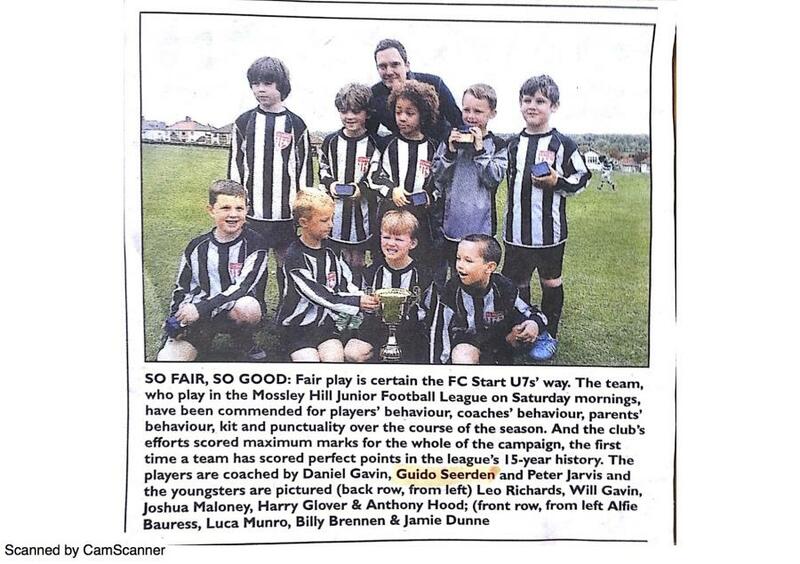 I was involved with several teams either as an assistant (U15s, Girls and Women's) or as a head coach (U11s and U13s). One of my main accomplishments was with the U13s during the 2009-2010 season in which the players' development was immense and winning the league was a nice bonus for the players after working hard for a whole season. This got us promoted to the third national league. - Designing individual training programs based on their own developed goals to improve tactical and technical skills. - Developing a tactical team periodization based on our own style of play and age specific factors. Whilst being active as a player and as a coach I wanted to qualify myself as a teacher but my focus switched to Sports and Movement during the four year study. The courses were vary varied with event management, marketing & finance on the one hand and social, medical and biological sciences on the other. I learned a lot about didactics and training methodology in relation to the motor learning process of children specifically. My other favorite courses were exercise physiology, fitness testing, sports rehabilitation and training & nutrition. Coached male and female football players (age 6-14) according the Coerver Method which later evolved in the Total Soccer Method. I coached at different locations in the Netherlands and Belgium. 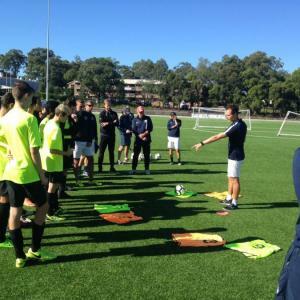 Whilst being active as a coach, I also participated during the coach education program focusing on Motor Learning and Control. Learned how to analyse football games according the four main moments of the game. I also picked up how to plan sessions with a focus on player learning and how to develop an age specific training methodology following my style of play. Eventually, I am succesfully qualified to go for the B license. So I am now looking to upgrade my coaching qualification. Done my major project at the academy of Roda JC Kerkrade looking at the effect of periodizing football conditioning training sessions on the recovery capacity of male youth professional football players (age 14-15) who train four times a week and play in the First division. After I finished my bachelor degree, I was looking for more in-depth knowledge of the human body in relation to movement. So that is why I specialized in Sport and Exercise Sciences. Motor learning, sport psychology, pathology, anatomy and muscle physiology were subjects during my three year study but my main interest was in talent identification and development. Other topics in which I was interested were maximal neuromuscular performance and fatige, aging and disuse. Also focused on social sciences like sport & society and group dynamics. I have followed courses containing statistics as well, to be able to collect and analyze data before I moved to Liverpool to complete my research internship. I have been trained to install, encode and on-line manage the tracking system of the First team. This data was then used by the sport science staff to give feedback containing a physical match report. This report included data of the physical and technical match load. It was an informative experience but I was more interested in the physical match report than actually collecting the data. I got in touch with Barry Drust from Liverpool John Moores University because I wanted to do my Master research internship abroad and in Liverpool in particular due to their Science and Football department. So I travelled to London for the Science + Football conference to speak to him in person about the possibility of doing an internship with LJMU and to learn from all the other presenters at the event. 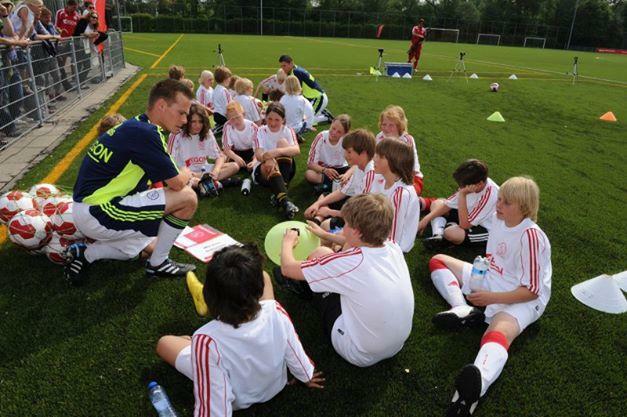 I coached male and female youth football players (age 5-16) according the Ajax philosophy. Got officially certified by AFC Ajax and promoted to head coach during the summer camps. I have had a very informative time whilst coaching male youth football players with a multicultural background (aged 14-16). We played in the 4th national division at that time and it was my job to keep us up in the league but I thought we were better than that. I tried to do this via a tactical team periodization based on individual condtioning goals taking the age specific factors like the growth spurt and the Ramadan into account. However, there was no improvement concerning player motivation, willingess to learn and respect at player level. Combined with a lack of organization, clear structure and good communication at club level, made it iimpossible for me to enjoy my work. So that is why I decided to leave the club after hanging in there for half a season. I could never imagine that someone would quit coaching but I now know why and I will take this experience on to the future; I learned loads even though it was not enjoyable at times. Eventually, the team were taken out of the league and never finished the season. Set up a coaching consultancy to educate football coaches on motor learning, coaching, talent identification and development. One of my projects was a workshop with the youth coaches of VVV-Venlo and Helmond Sport. Click here to view my presentation. 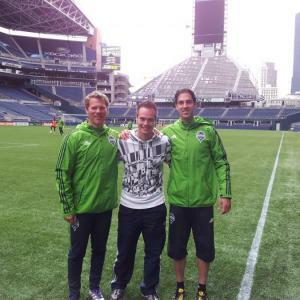 Traveled to the United States to visit the Seattle Sounders FC for two weeks and to attend their Sport Science mentorship where I joined the discussion panel about soccer specific periodization alongside Jan van Winckel, Jan Willem Teunissen, Steve Tashjian, Nick Winckelman and Chris West. I also did a workship about Motor Learning and Control with the Academy coaches and discussed current issues in sport science and football with the Sport Science staff (Dave Tenney and Chad Kolarcik) on a daily basis. This is one of the trips that contributed to my current philosophy on sport science. Major project - The role of feedback within the use of key practice activities in English professional youth soccer. Guido completed his Masters Research Internship at the School of Sport and Exercise Sciences at Liverpool John Moores University between (September 2012-May 2013). He was dedicated to his work and extremely eager to learn during his time with us. He made a positive contribution to a joint research project and also attended lectures in the school to improve his understanding of Physiology, Psychology, Skill Acquisition and Performance Analysis in Football. He fitted into the system exceptionally well and worked effectively alongside me and my colleagues during the research project at LJMU. 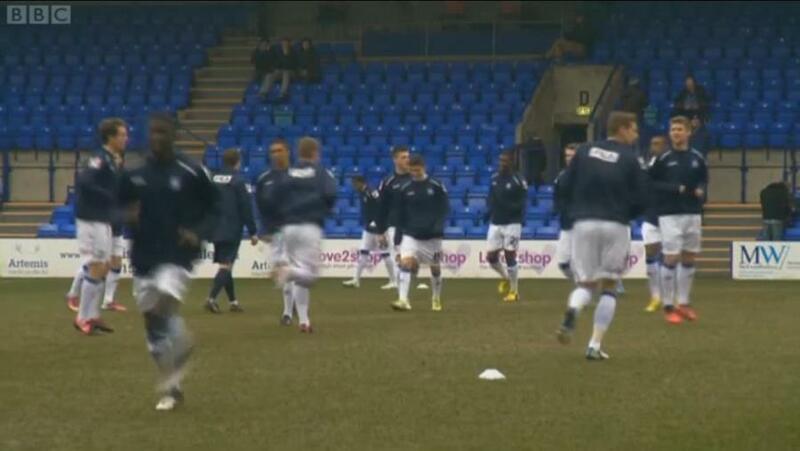 I have been training, coaching and managing adult semi-professional football players who studied at LJMU. Also used interactive presentations to show the players different settings in playing formation and style of play. The main thing that I learned was that each country has its football specific culture and I had to adjust my approach as a result of that. I also used some motivational speeches and videos 'to get the players going'. 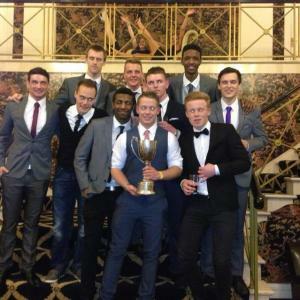 Hence, team building was a key factor during the season and we won the league, unbeaten. It was an absolute pleasure to play for Guido and have him as my coach. His attention to detail is superb, I always felt I had a coach who was totally dedicated to the development of the team and individuals. His knowledge through contemporary research is both relevant and beneficial which was incorporated in to the coaching environment bringing evident success to our league winning campaign. I had the pleasure of having Guido work for StartSoccer for over a year with our Under 7s team. During this time I found Guido to be extremely professional with his planning and delivery of all the sessions. He was able to adapt his sessions to meet the needs of young players which in turn got the best from all the players. All the children loved the sessions and their improvement over the year was remarkable. I know Guido has done successful work with adult teams and this shows his flexibility as a coach being able to work with both ends of the football world adults and Under 7s. I moved from an intern position working within the academy only to work full-time with the First team within two months. I was mainly responsible for the initial phase of daily training sessions and weekly match days, as well as monitoring training load and adjusting sessions based on individual player needs. During his time working with Tranmere Rovers first team, Guido showed good diversity in his routines and also a thorough knowledge of fitness, strength and conditioning, diet and nutrition. He was well liked and respected by the players and staff. Providing strength and conditioning sessions for academy players, setting up individual programs and assisting the academy head of sport science and medicine whenever needed. Designing and implementing post-game recovery protocols to maintain freshness and fitness. Designing and implementing nutrition diaries to improve match day performance. Liaising with coaching staff on a daily basis regarding session plans. Liaising with medical staff on a daily basis regarding injured and rehabilitating players. Spent nine days at Real Madrid C.F. to attend training sessions of the B team and the Academy teams, had daily discussions with the fitness staff about training load monitoring and discussed current issues in talent development in football with the coaches. This trip made a big impact concerning my coaching philosophy. I coached the under 9s and under 10s at the Academy (U9-U15) during the 2013-2014 season and I was also responsible for developing the players of the Soccer School, aged 5-7 years. 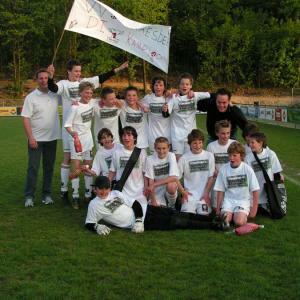 In addition, I coached the under 11-14s on a regular basis as well, either as a head or as an assistent coach. Moved up with my under 10s during the 2014-2015 season towards the U11s and also moved up to the U12s whilst coordinating the U7-U10s. Deploying a style of play according to an age specific training methodology: 'implicit learning for the win'. Click here to see some videos of my sessions. Working with an individualized periodization based on the players' biological age. Developing individual training programs based on the players' goals to improve tactical, technical, physical and mental skills.Thereby giving ownership to the players. 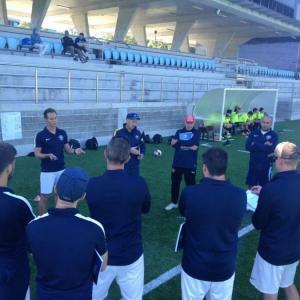 Improving the talent identification and selection process of the U7-U11. Assisting injury prevention, speed, agility, quickness and strength training sessions of the Academy players. Involved in several research projects, sports science and performance testing. To keep a longitudinal record of the players' long term athletic development. During my second year at Al Ahli Saudi FC, I was also working as the Head of Academy Sport Science (U9-U15) and responsible for the physical development of the under 13s, under 14s and under 15s. My main responsibility is monitoring the training load (sRPE and HR) of the U15s and the provision of strength and conditioning sessions for the U13-U15s based on players' biological age and individuals needs. Involved within the development and implementation of an age specific testing battery for the academy players (U9-U15). Collecting and analyzing test results. Looking at within-subject, within- and between-group variances. Monitoring training load (sRPE and HR) and pre-training freshness levels (RPF) with the U15s. Main responsible for the provision of strength and conditioning sessions for the U13-U15s, based on players' biological age and individuals needs. Responsible for the initial phase of daily training sessions (U13-U15). Liaising with coaching staff on a weekly basis regarding planned and actual training load. Liaising with coaching and medical staff on a daily basis regarding injured and rehabilitating players. Hosted a coaching conference for the first time in 2013 for mainly Dutch and Belgium coaches in which we tried to bridge the gap between research and practice (www.benevoetbal.com). We had the pleasure to have Rhys Carr (head of academy sport science at Cardiff City FC at that time), Scott Miller (assistant technical coach at Fulham FC), Lennard van Ruiven (Head of youth at Sparta Rotterdam), Roger Bongaerts (TSM and head of youth at VVV-Venlo) and Aad de Mos (former manager of PSV, Ajax, KV Mechelen, Anderlecht etc.) debating about nature vs nurture. The BeNeVoetbal coaching conference was organized for the second time in 2015 but this time in cooperation with Ruben den Uil and FC Utrecht. The main topic was: 'the coach as a specialist'. Four specialists were invited to present at the event: Sjors Ultee (First team assistant coach FC Utrecht), Bob Browaeys (National team coach Belgium Under 17), Michel Hordijk (coordinator foundation phase AFC Ajax) and Bastiaan Riemersma (Coordinator foundation phase PSV and Head coach U13). 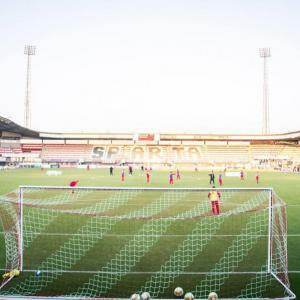 The third edition of the BeNeVoetbal coaching congress was in cooperation with Sparta Rotterdam and the main topic was 'playing with resistances'; how to manipulate physiological, psychological, tactical and technical elements within a training session in order to achieve his individualand team goals. 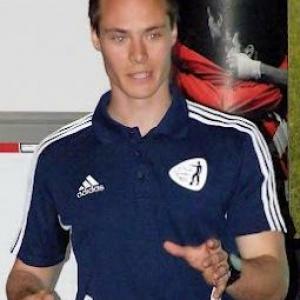 Marvin van der Valk (video-analyst Ado den Haag First team), Pieter Schrassert Bert (head coach Sparta Rotterdam U19), Bjørn V. Stenersen (fitness coach FC Copenhagen School of Excellence) and Bart Heuvingh (mentor Topsport AZ Alkmaar Academy) were invited to host workshops and presentations. McMillan, K., VanWinckel, J., Seerden, G. & Helsen, W. High-intensity interval training (with special reference to Small-Sided Games). In van Winckel et al. (2014). Fitness in Soccer: the science and practical application. (pp. 83-108). Click here to view my presentation about this topic. Coach Education Intervention Causes Increase in Games-Based Practice Activities That Underpin Skill Transfer to Match-Play by Seerden, G., Ford, P. R., Uji, M., Littlewood, M, McRobert, A. P. & Hayes, S. J. When I attended the World Conference on Science and Soccer in 2012, I set a goal for myself: presenting my master thesis at the next conference in 2014. After that goal was achieved and my abstract was accepted, I set myself a target to aim for the Young Investigator Award. In order to develop my social skills, I moved to Dubai as it felt the right thing to do after living in Saudi Arabia for two years. The fact that I did not get a scholarship to do a PhD in Sport Coaching at the University of Sydney contributed to this move as well. So I started working as the lead academy fitness coach at Al Shabab Al Arabi Club. I was responsible for the physical development of the academy players (U6-U19) but also assisted with U19 training sessions and analyzed the opposition during their games. The second application for the PhD Scholarship with the University of Sydney was unsuccessful too. Nevertheless, it was time for a new challenge at a different continent. Hence, I decided to leave the Middle east behind for a job at the newly formed Premier Soccer League club in Cape Town, playing in the ABSA premiership in the Republic of South Africa. I will get the chance to get more expertise in training methodology in First team football whilst learning how to coach and approach African football players. I have tried to get on the UEFA B coaching course but, unfortunately, living or working circumstances did not allow me to do it as yey. However, I really want to keep developing myself on a tactical and technical football level too. 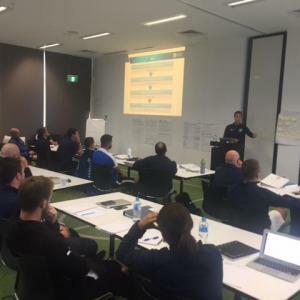 So, even though this course is not recognized in Europe, I started the Asian Football Confederation B licence coaching course with the Football Federation of Australia. During the course, they even asked me to deliver and present the fooball conditioning part and I really enjoyed doing that.